Although we like to keep things simple during our camping trips, we also love the option that technology has given us. Camping wouldn't be camping without the gadgets. You could call my husband a 'gear junkie' - we have faaarrrr too many gadgets in our camping gear box. Some that we use every single camping trip without fail, and some that would be lucky to ever see the light of day. 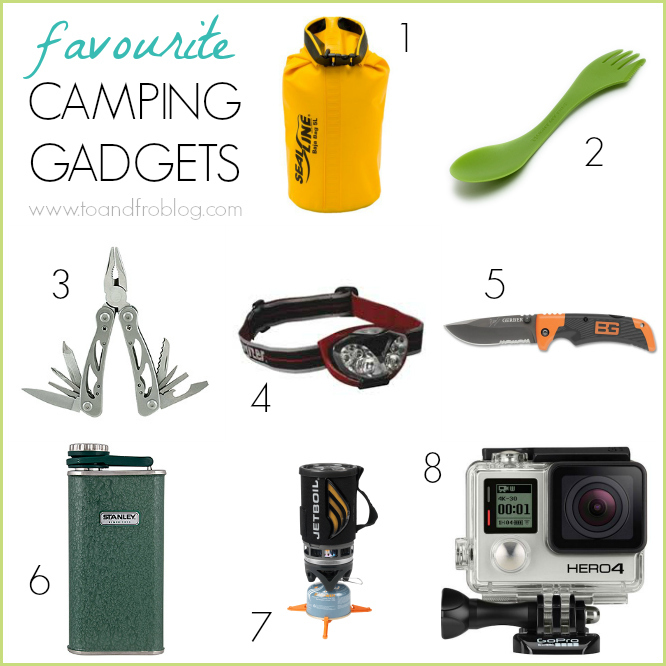 Today, I'm sharing with you some of our favourite camping gadgets. Seal Line Dry Sac // Whether you will be out on the open water, or the weather is not in your favour, adding a dry sac to your camping gear will help protect your clothing, sleeping gear, food, camera, and save you added stress. Spork // If you can only bring one eating utensil, make sure it is this one. Extremely inexpensive and handy for whatever is on your camping menu. Gerber Multitool // Multitools get their name because they have multiple uses - whether it is used for cutting rope when tying a tarp, removing a hook from the mouth of a fish or cracking a can of beans. Gerber is a name you can trust. Energizer Headlight // When out in the wilderness, it gets dark real quick. A headlight will come in handy when putting out the fire, unwinding for the night with a good book or that bathroom break in the middle of the night. Energizer headlights come in many different varieties, with different light strengths, settings and battery lengths. Gerber Knife // Whether you need to prep food for dinner, cut kindling for the fire or pass the time by whittling away at a stick, bringing a good knife along on your camping trip should be a no brainer. Like the multitool, Gerber is a name you can trust. Stanley Flask // A flask is a necessity when sitting around the campfire with family and friends. This flask is small enough to be easily packed away, but has a large enough capacity to share. Stanley products are quality products. Jetboil // This cooking gadget does exactly what its name states - boils water, and fast. It comes in handy when boiling water for safe drinking, making dehydrated food or brewing coffee (has a coffee maker attachment). It is extremely lightweight and compact, perfect for any backcountry camper. GoPro // You will need to document your camping adventures, and this camera is your safest bet and a great investment. Not to mention it is waterproof and takes video. Do you go camping? What's your favourite camping gadget? Going camping this summer? Need some new fancy smancy gadgets? Or maybe just a new summer wardrobe? 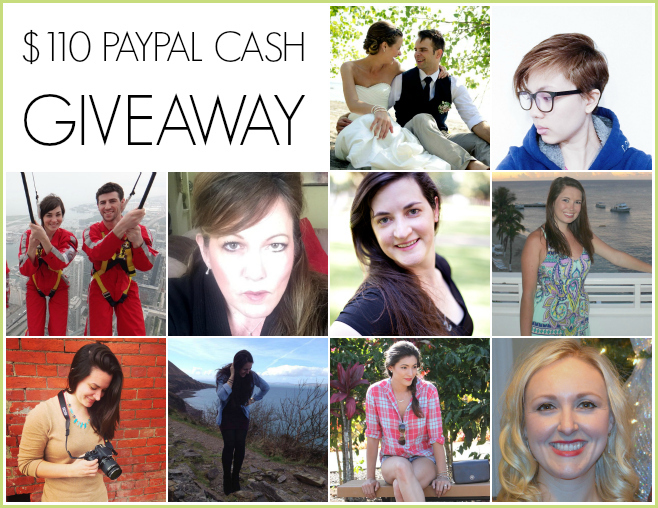 To celebrate Camping Month and the last year of my 20s, I'm teaming up with 9 amazing ladies to give you the chance to win $110 paypal cash! Good luck! I love those multitools! They are so neat! Roan pretty much own everything in the list except for a jetboil and a GoPro! I have never gone camping (y'know, the real stuff), but I would if I'm with my husband!